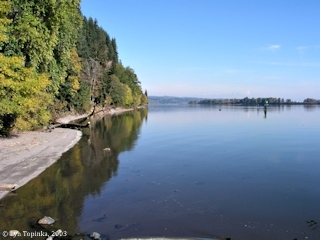 Click image to enlarge Columbia River, looking upstream, from County Line Park, Washington. Image taken November 9, 2003. 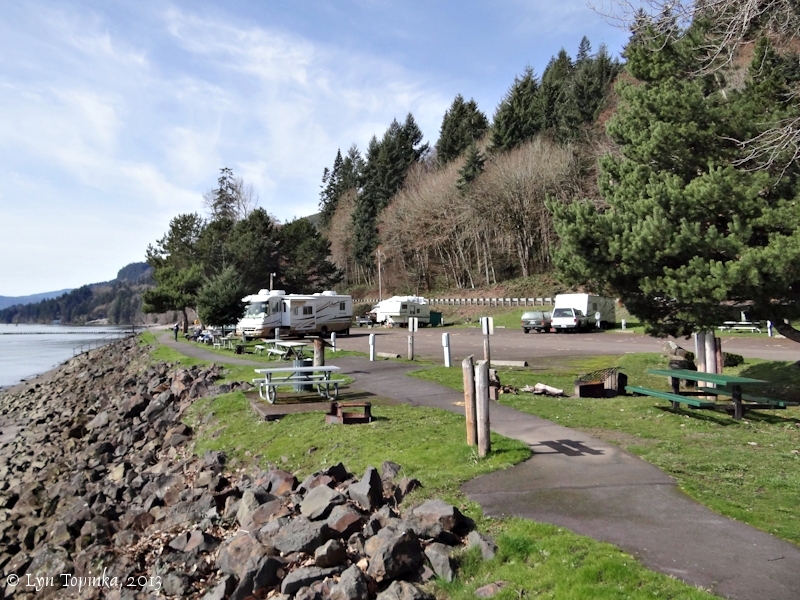 Washington State's County Line Park is a 5.5-acre day use and overnight park, located off Washington State Route 4 (Ocean Beach Highway) at the "county line" of Wahkiakum County and Cowlitz County. 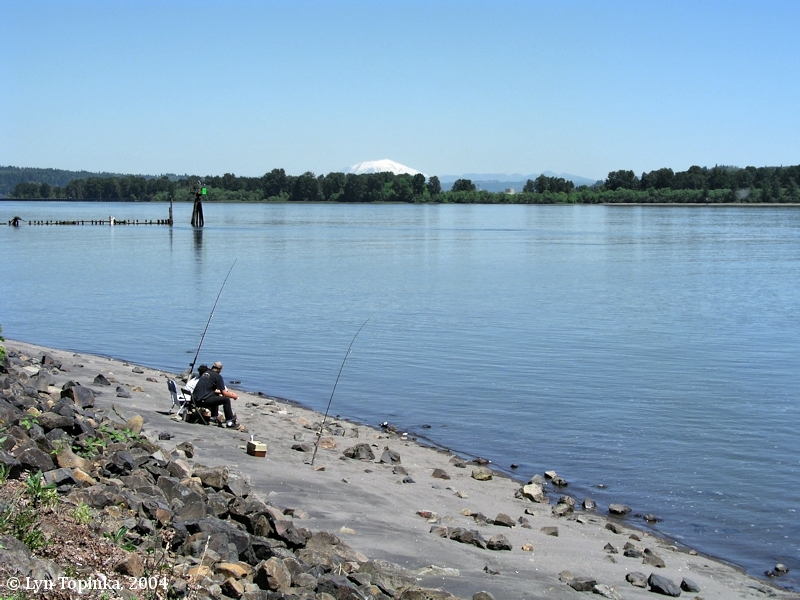 The park is located at Columbia River Mile (RM) 51.5, seventeen miles west of Longview, Washington. 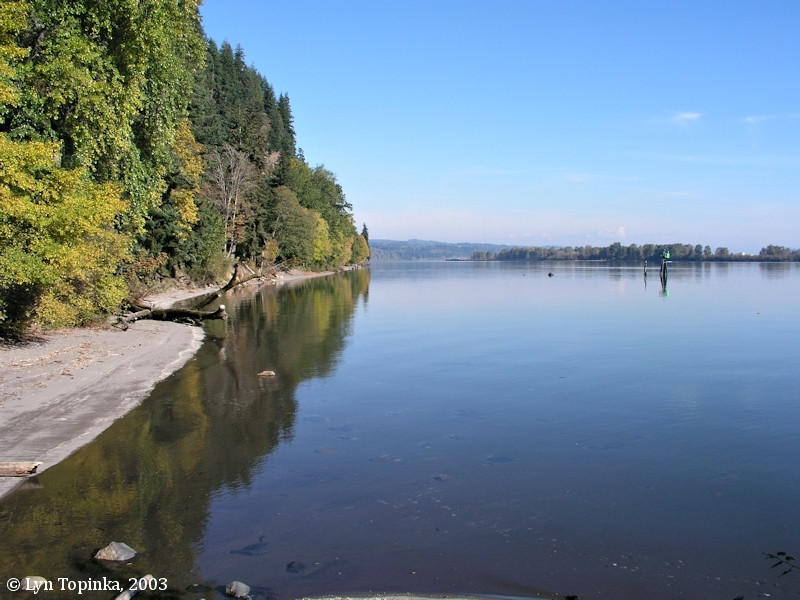 It lies across from Port Westward and the Clatskanie River flood plain. Upstream from County Line Park is Oak Point, Washington and downstream is Eagle Cliff, Washington. Mount St. Helens can be seen from the park. 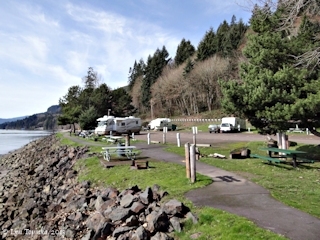 Click image to enlarge County Line Park, Washington. Image taken March 4, 2013. 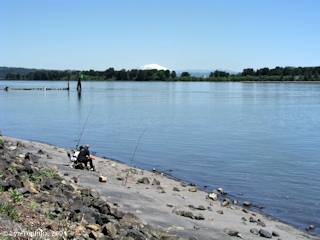 Click image to enlarge Mount St. Helens from County Line Park, Washington. Image taken June 16, 2004. 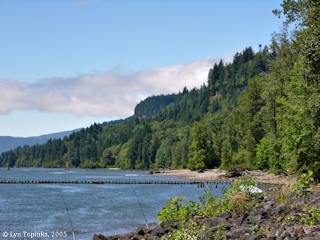 Click image to enlarge Eagle Cliff, Washington (treed cliff, slightly rounded, at right skyline), as seen from County Line Park. Image taken July 28, 2005.